Lee leads CapStar’s Commercial Real Estate lending team. His expertise is in the acquisition, construction or refinancing of all kinds of commercial property including apartments, retail, industrial, office buildings and hotels. Look for CapStar’s name on the signage for construction projects that are underway around the city. That’s thanks to Lee and his team. They understand all the intricacies of property development and types of loans that can get the job done, providing guidance if needed about the best way to structure the deal and get it underway. Born and raised in Nashville, Lee loves the people and the culture of the city, and is grateful that those things haven’t changed during its recent growth and prosperity. He’s a sports guy—a golfer and a runner who follows college and professional sports. But his favorite thing is meeting new people. So if you see a tall friendly guy at a Preds or Titans game, ask him if CapStar is the financial muscle behind that new construction you’ve been watching. That big grin means, Yes, we are! 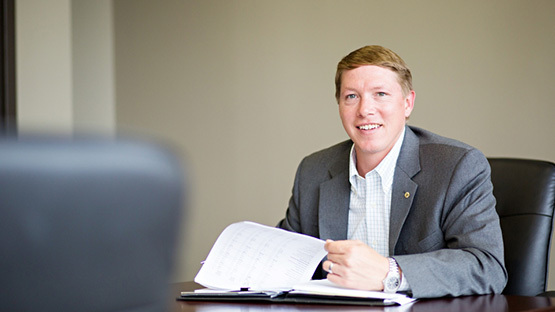 Jason Adams is a Relationship Manager for Commercial Real Estate division. He started at CapStar as a CRE underwriter, bringing several years of experience handling CRE deals. He has a Bachelor’s in Business Administration from Florida Atlantic University and an MBA from the University of Miami, Florida. Jason’s office is in the Brentwood Financial Center, but he’ll go anywhere to look at a building—or a set of plans. 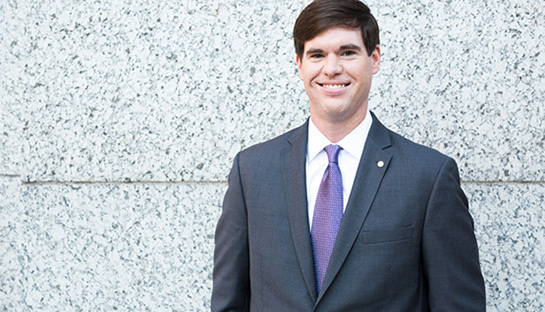 After earning his Bachelors degree at the University of Georgia and an MBA from Georgia State University, Zac worked in commercial real estate before transitioning into banking where he has spent the past eight years. His banking career includes experience in credit underwriting and portfolio management across commercial and healthcare segments. Knowing a reputation is a hard thing to earn, but an easy thing to lose, Zac treats all customers, regardless of size, with the professionalism they deserve. Originally a Music City transplant, Zac put down roots in Nashville nearly a decade ago and is proud to call it home. William Benson, most recently a Portfolio Manager with the Healthcare Group, joined CapStar with a background in both commercial healthcare and consumer banking. 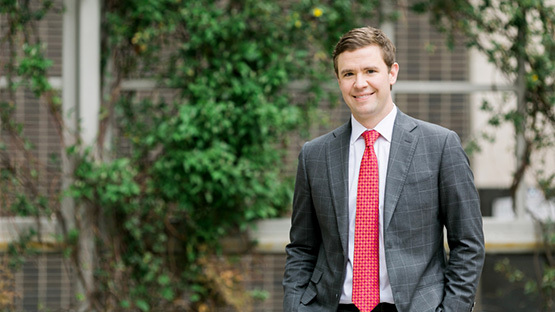 A native Nashvillian and graduate of Montgomery Bell Academy, William received his Bachelor’s of Business Administration in Risk Management and Insurance from the University of Georgia’s Terry College of Business. William serves on the Young Alumni Board at his alma mater and has coached basketball and football in the West Nashville Sports League and Southwest Nashville Football League. Brad is a one-man banking machine. He’ll listen with laser focus to your needs and find an effective and rewarding way to meet them. Banking is not one-size-fits-all, and Brad enjoys crafting sharp and personalized solutions that meet each client’s individual circumstance. As a native Nashvillian, Brad knows the city and has the perspective, foresight, and wisdom to think long-term for you and your business. Brad makes deals happen so your focus can be on your business. When he’s not leading our Commercial Banking team, he’s enjoying his family, working out, or driving the golf cart at Forest Hills Baptist Church. Ask him for details. Jay does it all at CapStar, providing expertise in everything from deposit services to treasury management for our Sumner County clients. He knows every company and person is different, and enjoys serving as his clients’ trusted advisor while working alongside them to find a customized solution for each unique need. Jay grew up in middle Tennessee and is proud to have witnessed and participated in the area’s steady advancement over the years. He sees promise in its growth and diverse economy. You can see Jay everywhere in Sumner County and he’s very excited about CapStar’s partnership with the Event Center at the Comer Barn. When he’s not working, Jay’s enjoys relaxing with family on Old Hickory Lake or working on his golf game with willing victims. Ken is CapStar’s quiet superhero. He has a deeply embedded code of honor and never hesitates to help a coworker or client in need. An original member of the CapStar management team, Ken helped build CapStar and continues to shape our vision today. 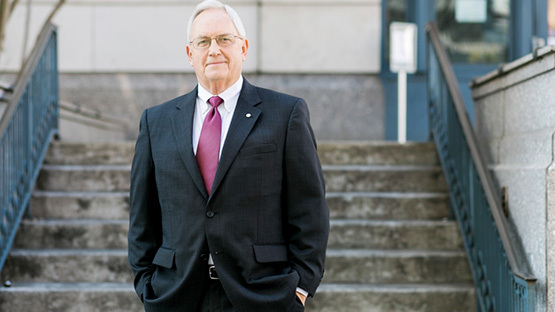 Ken is active in the community, serving in leadership roles for the Boys & Girls Club of Middle Tennessee, Tennessee State University's College of Business, Economics and Finance Advisory Board, and the Nashville Sertoma Club and Foundation. Somehow in the midst of all that, he found time to coach his son’s baseball team for many years. These days, he is active at St. Henry’s Church and pursues other interests like studying history, reading biographies, and hunting... for birds and loans. Larry’s experience makes him a blend of two people, the keen credit guy and the commercial lender who is eager to meet a client’s borrowing needs and anticipate what else might be needed as his or her business grows. Larry was a National Bank Examiner for the Comptroller of the Currency in D.C. back when interest rates were in the teens. His diverse financial career makes him an acute partner, sensitive to the way big trends and external factors can affect both sides of every deal. Larry is a sports nut, working out and following the NFL in the fall and MLB in the spring. But most of the time, he’s TCB for CapStar clients. Beth provides personalized service to CapStar clients who need a little extra attention and discretion. She enjoys making banking easier, more efficient and more fun for her clients. She’s a cheerleader for her clients inside and outside the bank. 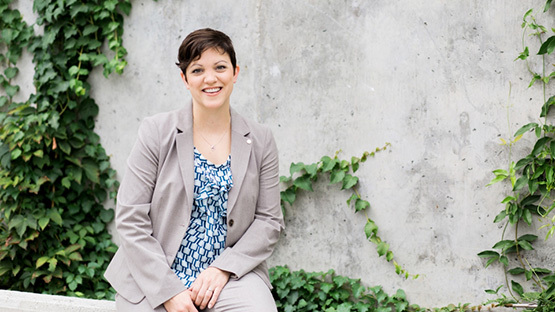 When she’s not taking care of CapStar customers, she’s serving the Nashville community. A member of the YWCA’s Academy for Women of Achievement and graduate of Leadership Nashville, she’s a past board chair for the Nashville Public Library Foundation, Family and Children’s Service, the Junior League of Nashville and has chaired fundraisers for Friends of Warner Parks, The Land Trust for Tennessee, Nashville Repertory Theater and others. She continues to provide communications and interpersonal training sessions for nonprofits and is a mentor to those navigating career choices through programs at the Entrepreneur Center and the Nashville Business Journal. 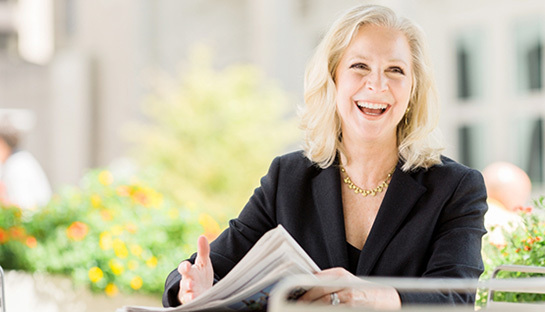 Beth takes pride in the vibrant philanthropic culture that makes Nashville’s arts, music and social service sectors thrive. Kelly is a straight shooter. She’s honest and direct with her clients, creating straightforward solutions without wasting time. Kelly provides a customized banking experience for her clients through undivided attention and dedication. She means business, and that’s not just a banking joke. Despite the no-nonsense demeanor, Kelly’s twinkle reveals a resilient sense of humor. She also serves on the board of the nonprofit RenewED and helps find housing for the homeless in Nashville by serving on the Selection Committee for the State of Tennessee’s Habitat for Humanity. Originally from Northern Indiana, she’s a Purdue graduate with a B.A. in Public Communication who spent 11 years in various roles with State Farm Insurance. She spends free time experimenting in the kitchen and horseback riding in all kinds of weather. 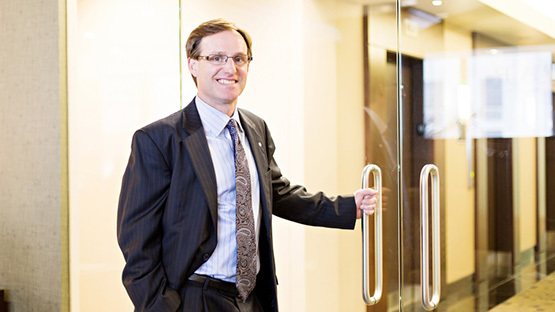 Ken Ford is a CERTIFIED FINANCIAL PLANNER® with CapStar’s Wealth Management division. 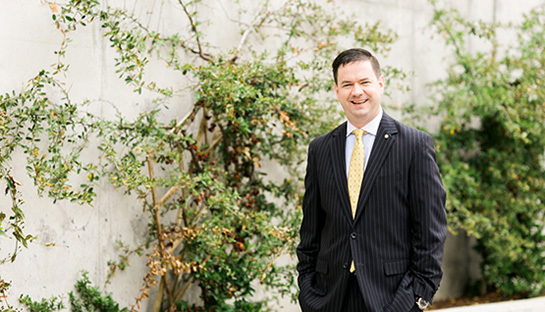 A financial consultant and wealth advisor, Ken grew up in Mississippi, earning both his Bachelor’s of Business Administration in Finance and a Master of Business Administration with a concentration in Finance from the University of Mississippi. Ken was chairman of the annual golf tournament for Big Brothers Big Sisters in 2011 and 2012. He loves outdoor sports, travelling and spending time with his family. 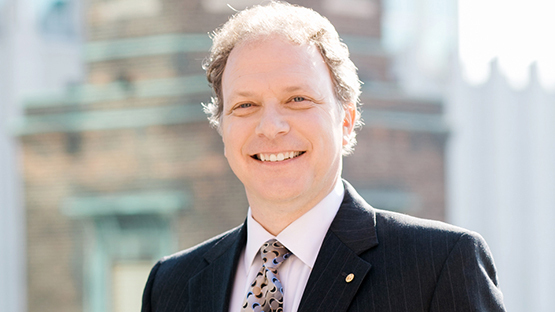 Ken develops meticulous recommendations for his clients based on their financial needs and assets. They’ll follow him anywhere. The investment products sold through LPL Financial are not insured CapStar Bank deposits and are not FDIC insured. These products are not obligations of CapStar Bank and are not endorsed, recommended or guaranteed by CapStar Bank or any government agency. CapStar Bank and CapStar Wealth Management are separate entities from LPL Financial. The value of the investment may fluctuate, the return on the investment is not guaranteed, and loss of principal is possible. CapStar Bank and CapStar Wealth Management are not registered broker-dealers nor are they affiliated with LPL Financial. This site is designed for U.S. residents only. The services offered within this site are offered exclusively through our U.S. registered representatives. LPL Financial U.S. registered representatives may only conduct business with residents of the states for which they are properly registered: Tennessee, Alabama, Florida, Georgia, Louisiana, Kentucky, Maryland, Mississippi and North Carolina. Please note that not all of the investments and services mentioned are available in every state. Chris White is Financial Center Manager for the newly renovated branch at 5120 Maryland Way in Brentwood. 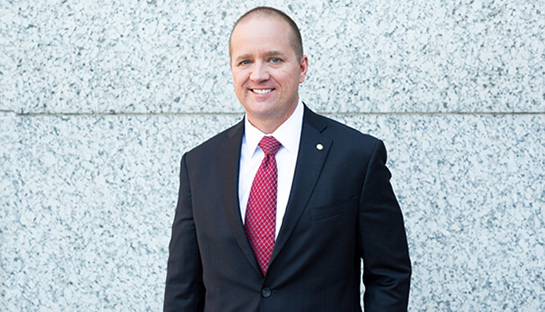 He has more than 15 years of client-facing consumer and small business banking experience. He was most recently branch manager at the SunTrust Brentwood office, which is the third largest in the that bank's network. He is a graduate of Gonzaga University where he was on the debate team, a member of the Honor Roll and the political science club. 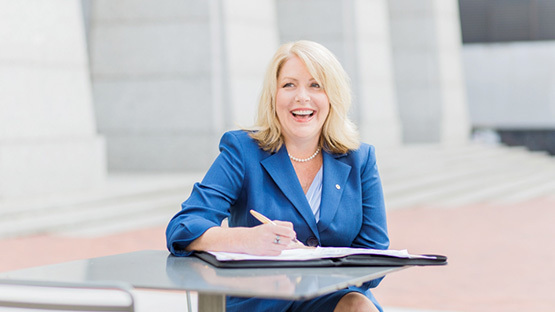 Alicia Mattice is Senior Vice President, a veteran Treasury Management officer. Her 20 years of operational experience means that she’s seen just about everything. And her up-to-date knowledge of the technical advances in this area means that she brings a consultant’s expertise to business operations. There’s no one better to analyze a business or corporation and recommend the best solution for managing cash flow. A Nashville native and graduate of Trevecca Nazarene University, Alicia has lived in Nashville all her life and loves having seen the transition from friendly southern city to tourist destination. For Alicia there’s nothing better than sharing a cup of coffee with a new friend—or a good book. Executive Vice President Mark D. Mattson holds a Bachelor’s of Science degree from Tennessee Technological University and a Master’s in Business Administration from the Mays Business School at Texas A&M. He has more than 25 years of banking experience. Mark was instrumental in creating CapStar’s credit policies and credit administration infrastructure prior to its opening in 2008. 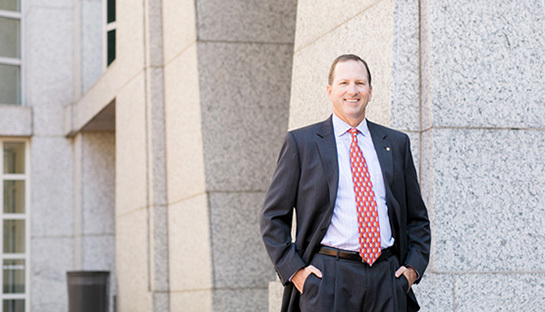 Before joining CapStar, Mark was a managing director at SunTrust Robinson Humphrey, where he was responsible for new business development in the healthcare sector throughout the U.S. Mark began his banking career as a management trainee at First American National Bank (now Regions Bank) and advanced to become one of the group’s senior lending officers. 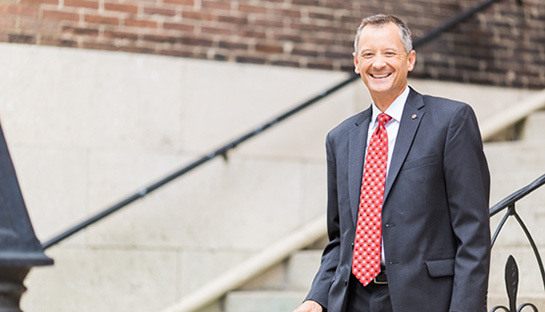 He has been involved in a number of leadership roles in the Nashville community including Junior Achievement, Young Leaders Council, the Kidney Foundation of Middle Tennessee, Leadership Franklin, the Risk Management Association and the Downtown Nashville Lions Club. 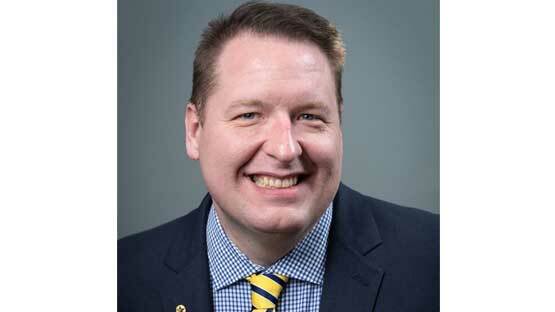 He is president of the Middle Tennessee Chapter of the Risk Management Association and serves on the board of the national Risk Management Association. He and his wife live in Franklin and have two adult children. Kim Yeager is our Healthcare Banking point of contact for anything and everything. She is always ready to jump in and help with any situation. She is a graduate of Butler University and has a varied background in different roles, most notably as a professional dancer with the Nashville Ballet. After retiring from her career with the ballet, Kim joined the corporate workforce. She first came to CapStar as an Executive Assistant and transitioned into the Client Services role earlier this year. Kim graduated from high school in middle Tennessee and has lived in Nashville on and off for close to 20 years. She loves Nashville’s true melting pot of not only people from everywhere, but the vibrant art, music and cultural scenes. When not on the job, Kim enjoys the arts in Nashville, and watching her own budding artist, her three year old daughter, entertain! Tony helps business owners grow their companies, ensuring long-term success while providing tailored solutions for right now. Tony knows what it takes to be a successful entrepreneur because he is one. He spent 15 years helping his family build their retail business to a five-location enterprise, now celebrating more than 40 years in business. When he’s not helping your business win, he’s claiming victory on the ice with his hockey team. Tony grew up playing ice hockey in Buffalo and throughout college, and now makes a yearly trip to Lake Placid to keep his name in Buffalo sports lore. Growing Nashville businesses and improving the community is more than a job to Tony. He mentors young, exciting companies at the Nashville Entrepreneur Center and serves on the board of the Better Business Bureau. He was recognized as Volunteer of the Year in 2016 by the Franklin Family YMCA board of directors and is a member of the Leadership Franklin Class of 2017. Tony loves Nashville for its people. He also appreciates Nashville’s low taxes, strong economy and buoyant business growth. After all, he's a banker. 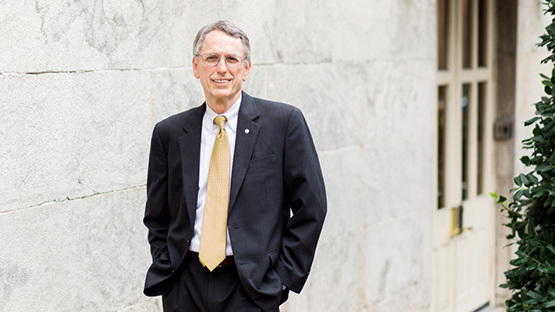 Jim Windrow is a banker’s banker. 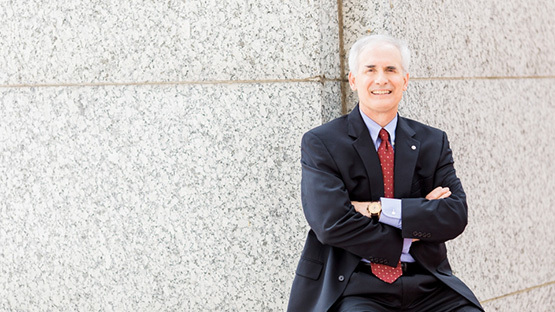 As Senior Vice President of Correspondent Banking, he leads CapStar’s Correspondent Bank, a career specialty that has fascinated him and taken him across the state of Tennessee for more than 40 years. From a small Tennessee town himself, Jim feels at home building and maintaining relationships in the state’s smaller communities. He enjoys learning from them about business and commerce and is eager to be responsive to their needs, no matter how large or small the request. He says living near Radnor Lake feels like living in a wildlife sanctuary—a perfect park-like setting for a country boy. 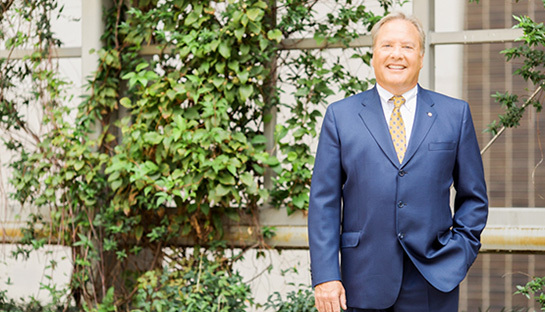 Jim believes the energy generated by the Capital City, a vibrant economy, and strong corporate and government leaders who have a unified vision for the city are key factors that make Nashville strong economically and a great place to live. Nevertheless, it’s important for him to get back to the country on weekends to help on his aunt’s farm or work on a friend’s farm operation in Auburn, Kentucky. Working with livestock and equipment in an agricultural setting provides balance for Jim. He says the retreat to another culture reminds him of his childhood growing up on a farm. A graduate of Middle Tennessee State University, Jim started his career at First American, where he spent 23 years. He brings a deep legacy of experience and a reputation for integrity to Correspondent Banking. And he can tell you a little bit about farming. CapStar’s Senior Vice President and Business Banking Director for CapStar, Chris McCall specializes in businesses in the manufacturing, healthcare and service industry sectors. He has an extensive background in business banking covering the local Tennessee market, as well as Kentucky, Georgia and the Carolinas during his time as a regional business banking executive. Chris earned a B.A. from Purdue University along with a Masters of Business Administration and a law degree, both from Loyola University. A continual learner, he’s also a graduate of the Scarlett Leadership Institute and a board member of Project Return. Many of his clients have over the years grown family businesses to an asset size from two to twenty million. It’s exciting for Chris to work with these clients because of their extensive knowledge and love for their particular industry. They’re specialists, and so is Chris. Chris says it’s all about strategic growth, prudent decisions and protecting the assets of the company and the family. Expertise, smarts, leadership. He’s a great guy to have on your side. 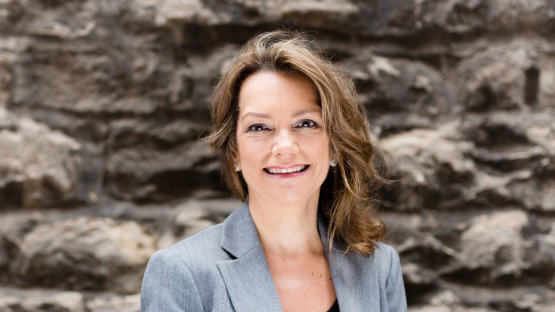 Liz Miller is Senior Relationship Manager in our Business Banking Group, part of the team that provides financial guidance, financing and banking solutions to small and mid-size companies and their executives. After more than 20 years of banking experience in the area, Liz has closed deals with all sizes of privately held companies spanning a range of industries. 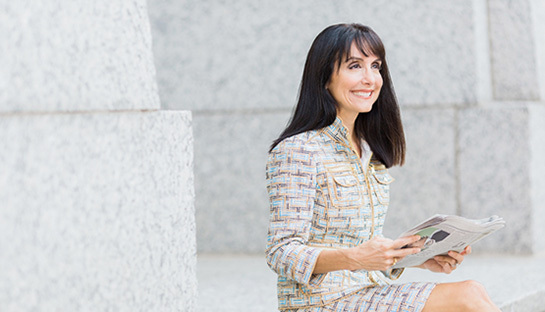 When she’s not making deals, she loves going to concerts at The Ryman or the Schermerhorn, exploring Nashville’s restaurant scene, and walking Radnor Lake and the Greenways throughout the city. She also makes time to volunteer for Habitat for Humanity, Second Harvest Food Bank, Oasis Center and other great causes. Sound energetic? She is. Her persistence is what makes her an invincible advocate for her clients. She’s a pro. Steve prides himself on persistence. He knows it’s a key characteristic for success, and his clients’ experiences show it. 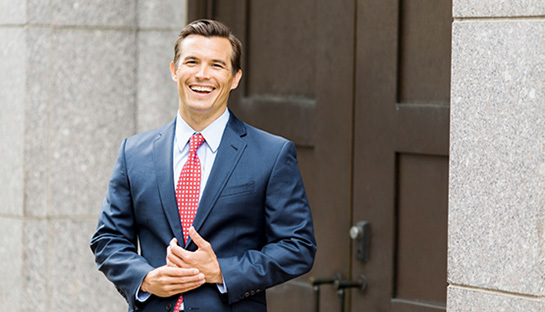 As a member of CapStar’s private banking team, Steve takes the time to know each person and business he works with, resulting in strong relationships that produce lasting results. He enjoys helping physicians and other very busy professionals manage their financial matters in creative ways that allow them to focus on patients. Originally from Cleveland, Ohio, Steve appreciates the mix of urban and country in Nashville and loves to explore Tennessee’s Civil War history. Steve loves spoiling his golden retriever, Mattie. He’s also a big fan of grilled salmon and occasionally enjoys splurging on sea bass. 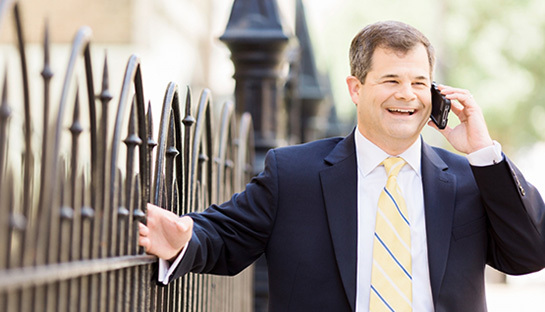 George helps people find strategic solutions to meet and exceed their financial goals. He strives to help clients in a meaningful and timely way, while managing their daily banking needs carefully and strategically. Born and raised in Nashville, George believes there is no better place to live. From the Boulevard Bolt to the Nashville Symphony to Percy Warner Park, George celebrates the city’s small-town feel with world-class offerings. He serves on the boards of St. Luke’s Community House, the Boulevard Bolt and the Coastal Conservation Association and is a past board member of Harding Academy, St. George’s Vestry and First Steps. When he’s not serving our clients and community, he’s duck hunting, fishing, golfing or snow skiing—and planning for the next Boulevard Bolt that starts at his church, St. George’s Episcopal, every year on Thanksgiving Day. 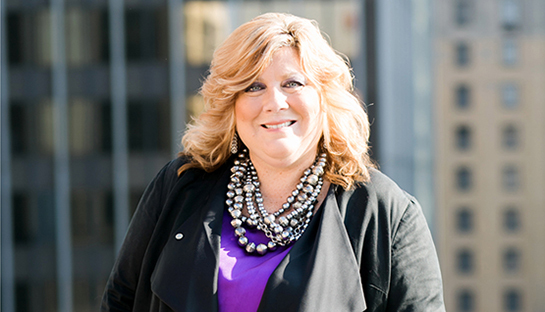 Nashvillian Tara Alford is Executive Vice President, Consumer Banking Director for CapStar with responsibility over the Retail and Private Banking divisions. She has more than two decades of experience in financial and retail services. After beginning her career in retail, Tara joined Bankers Trust Company, later purchased by State Street Bank. There, she was a Director of Global Securities Services, leading a large Custody division for U.S. Securities. 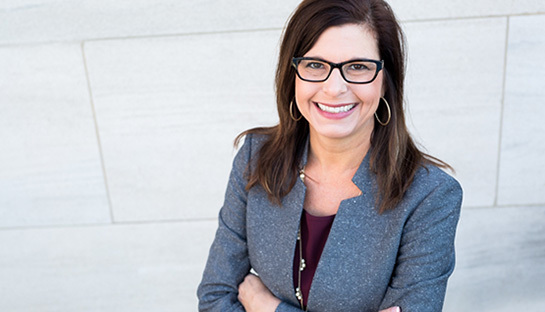 Tara joined Fifth Third Bank in 2005 as a Vice President, Retail Regional Manager, managing twelve Financial Centers across Davidson, Williamson and Rutherford counties. She was subsequently promoted and served as Senior Vice President and Head of the Investment Advisors division for Fifth Third Private Bank. She led a team that provided Wealth Planning, Investment Management, Private Banking, Risk Management and Trust Services. Tara serves on the boards of Friends of Warner Parks and the Better Business Bureau (BBB). She currently serves on the Executive Leadership Committee for Go Red for Women (American Heart Association) and is co-chairing its annual fundraiser in 2016. Tara is a past board member and two-term Board Chair of the Patricia Hart Society of the United Way of Williamson County. She received the United Way Leader of the Year award in 2009. She graduated from the University of Tennessee, Knoxville with a B.S. in Business Management and has completed the Scarlett Leadership Executive program through Belmont University. She holds FINRA securities licenses 24, 7 and 66 and is a registered advisor with CapStar Wealth Management/LPL Financial Services. 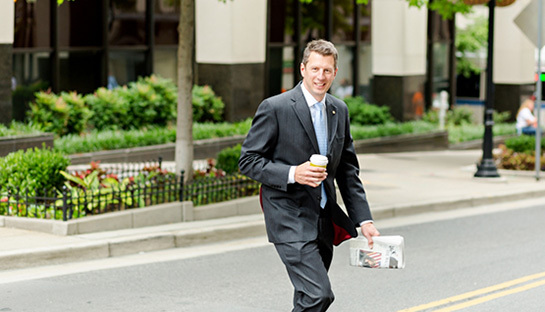 Jason manages CapStar’s Gallatin Financial Center—we call it CapStar North HQ. He and the Gallatin team can do just about anything, from retail and small business lending to handling discrete matters for private clients. Jason’s natural curiosity makes him a great listener—he is able to stop and focus to hear the story behind the customer. And his openness makes him fun to talk to. He’s a clear communicator who delivers what he promises. A middle Tennessee native, he’s a descendant of General Frances Nash and the great nephew of Mayor Beverly Briley, the first mayor to preside over a unified Metro government. Jason says this is a wonderful place today because of the people who live here, and he enjoys helping them—and their businesses--thrive. Jason spends any free time with family, a word he interprets as extending to his neighbors, church and community. Give him a call if you need help with a volunteer project or building a fence. Or if you need a loan. Laura Dye, manager of CapStar’s Hendersonville Financial Center, is irrepressible. She’s been in retail banking her entire adult life because she loves getting to know people and helping them with tricky banking issues. Spend five minutes with her and you’ll understand why customers stick with Laura—she takes a personal interest, is attentive to their needs and what’s going on in their lives. She is deeply involved in the Hendersonville community, supporting her children’s schools for many years, serving as a committee chair for Sumner County United Way’s Sumner Soiree and serving on the Education Committee of the Hendersonville Chamber. She says Hendersonville has the benefits of a smaller community where close relationships are fostered, with Nashville’s diversions are right down the road. These days she is the Number One fan for the University of Tennessee at Chattanooga, since her sons play football there. When she’s not cheering them on, you’ll find her gardening or checking shutter speeds on her Nikon. While, no doubt, taking care of customers.